To receive email from Terie Hansen, add info@gooddogcoaching.com to your safe sender list. We Love Pets, Just Like You.. Playing with a dog or cat can elevate your levels of serotonin and dopamine, which calm and relax you. 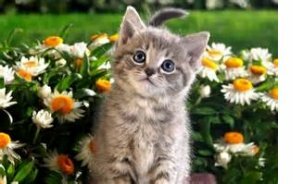 So spend today and everyday improving your life and the life of your pet by spending just a little more time with them. 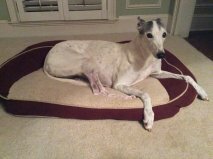 We have recently learned that 4 of our precious four legged clients have crossed the Rainbow Bridge. Zoe, Theo, Maggie and GT were all very special to us here at Good Dog! 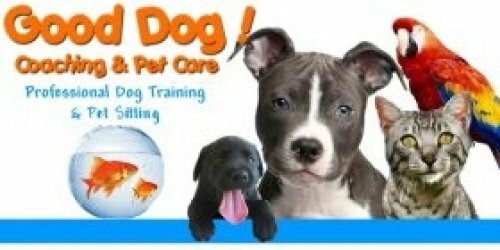 Coaching & Pet Care. We will miss their sweet spirits but know they are now running free. Our condolences go out to their families. We thank you from the bottom of our hearts for letting us be a part of their short lives here on earth. 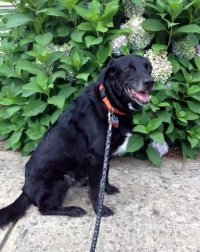 Keep up on what is happening over at Good Dog! Coaching & Pet Care by liking our page. It is a great way to see what we do. You may even see photos of your sweet fur babies! Click here. 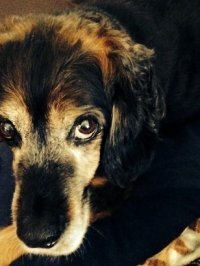 To dog park or not to dog park that is the question. 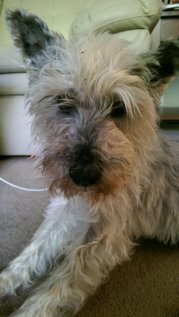 A hotly debated question that I am frequently asked “ Is it ok to take my dog to dog parks?”. My answer “yes and no” depending on your dog. A dog park is for socializing (learning how to interact with other dogs) not exercising. 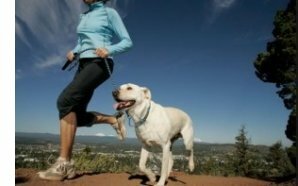 Will your dog get exercise while at the dog park? Of course they will but never take a fully energized dog into a dog park or you could be setting your dog up for failure. Over excited dog = bad doggie manners = possible dog fight. Read more here. Meet Stella and Lawren! They are both adorable little pups that love attention! Stella loves her belly rubbed and loves to chase her squeaky toys. Lawren loves trying to keep up with her big sister all the time. They both enjoy being held as well! These two energetic dogs will find their way into your heart very quickly! Pet Sitting Motto: "Have no fear when dogs are near!" Favorite part of job: Being around the animals and giving the dogs all the loving and belly rubs. I also love talking to them like they understand exactly what I'm saying. We have casual conversation every time I take care of them. Hobbies: Taking pictures, mostly of dogs. When I'm home, I pet my dogs A LOT. When I go out in public if I see a dog I have to go over and pet it no matter what. My hobbies revolve around a dogs for the most part, they are just a big part of who I am. If you are like a lot of dog owners you enjoy taking your dog to an off leash dog park where they can socialize and make new friends. 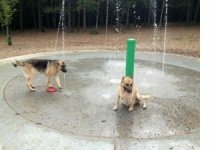 Take a look at the 5 Top Dog Parks in Gwinnett County to see what’s in your area (not in any particular order). Offering separate areas for small and large dogs, this park has doggie sprinklers for cooling off and obstacle courses for extra fun! Although this is an older park it has a lot to offer with three enclosures and a separate long narrow dog run area. It has some agility equipment, doggie water fountains and shaded areas for you and your dog to cool off. This park also boasts beautiful walking trails perfect for draining some energy from your dog before you enter the dog park to socialize. Read more here. 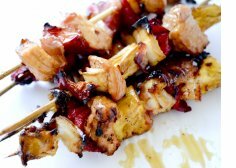 Pineapple and Chicken Kebobs. They are heavenly! 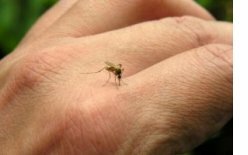 It is Mosquito season which means Heartworm & Zika Virus are always a possibility. Having your yard treated by a reputable company is a viable solution to greatly reduce these pests in your yard. Here are some tips on choosing the right company for the job along with the answers to some commonly asked questions. No Bugs, No Bites, No Kidding! For more information please click here or contact Jeannie Moreira of Mosquito Squad of Duluth-Lawrenceville at 770-271-1833 for a FREE CONSULTATION- Reclaim Your Yard! Join us at Snellville's Briscoe Park located at 2500 Sawyer Parkway, Snellville, GA 30078 on Saturday, May 14 for the 23rd Annual PAWfest! This event runs from 10am - 4pm. Events include Annual Pack hike (9:30am), food & Entertainment, Vendors, Canine Demos, Live Music, Dog Contests, Silent Auction, Kids Activities and more! If you haven’t already registered for the Pack Hike you can do so here. For more info on year’s Pawfest 2016 click here. Stop by our booth for a FREE gift that you can personalize with your pet pics (while supplies last). We’d love to see you! Did you know that Good Dog! 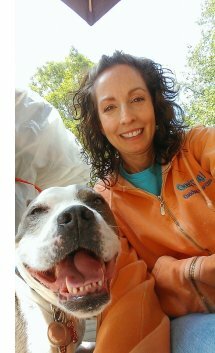 Coaching & Pet Care has a generous Referral Program? We are sweetening the deal for Spring! If you refer a Monthly Mid Day Walking Client that signs up with Good Dog! We're going to gift you a $50 referral credit to use toward future service requests and we'll gift your friend a $50 referral credit towards their future service requests compliments of you! 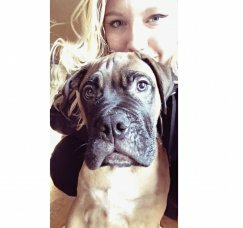 If you refer a Pet Sitting Client that signs up with Good Dog! we're going to gift you a $25 referral credit to use towards your future service request and we'll gift your friend $25 referral credit towards their future service request, compliments of you! This $pring Green Special ends May 31st so hurry and tell your friends & family! There is no limit to the amount of credits you can receive, so cash in on that $pring Green Today!